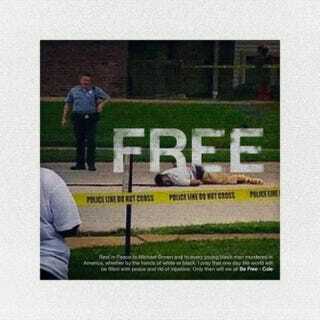 “Can you tell me why, every time I step outside I see my niggas die?” is the question J. Cole asks in his new song “Be Free.” J. Cole penned the song in response to the killing of Michael Brown at the hands of a Ferguson, Mo., police officer. “All we wanna do is take the chains off. All we wanna do is break the chains off,” J. Cole raps. Along with his lyrics, with references to slavery and black people dying, there are firsthand accounts playing in the background of the song. You can hear one person saying that Brown had his hands up before he was shot and killed.